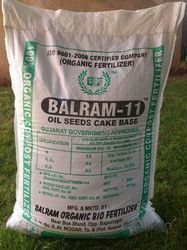 Offering you a complete choice of products which include balram gold oil seed cake baise fertilizer, organic oil seed cake fertilizer, organic neem cake fertilizer, balram-11 organic oil seed cake fertilizer, balram-11 neem cake fertilizer and organic oil seeds cake base. 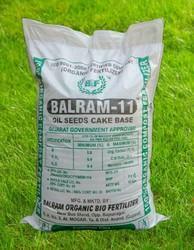 We are appreciated amidst the celebrated names in the sphere of providing an exclusive range that includes Balram Gold Oil Seed Cake Fertilizer. We are capable of delivering the bulk consignments of the clientele effortlessly as we have excellent storage facilities. We have segregated units in the warehouse that help us in delivering all the products systematically. Our firm is a renowned entity, engaged in offering a high-quality Organic Oil Seed Cake Fertilizer to our prestigious clients. It provides strength to crops to keep the plant healthy and free from any daisies. It is a mixture of various types of cakes, biofertilizers, and seaweed which are rich in potash and many other elements are present in this soil conditioner & this is widely used by farmers all over the market. It is available in powder form. We are an unparalleled name in offering a premium quality scope of Organic Neem Cake Fertilizer. To process this dirt item, we are supported by a group of our experts, having years of involvement in their related spaces. 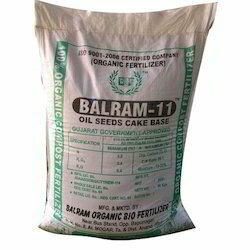 Our firm is a renowned entity, engaged in offering a high-quality Balram-11 Organic Oil Seed Cake Fertilizer to our prestigious clients. 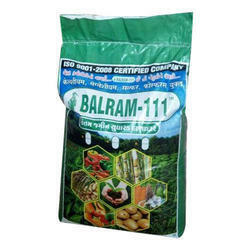 The offered fertilizers are commonly used for promoting the growth of various crops and plants. 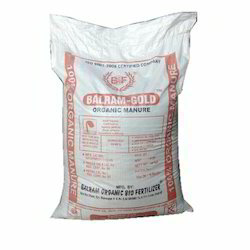 Available in different quantity packs, our provided fertilizers are processed using quality approved natural manures and ingredients with sophisticated technology.